You can deal directly with the man who owns the shop, Jack Gregory. Jack’s is locally owned and operated and has been in business 30 years. We have a NAPA Tracs system which keeps all your vehicles’ information history at our fingertips. Knowledgeable, well trained, ASE Certified Technicians and Service Advisors. Close proximity to the Metro North Train Station. For you, our business customers, we offer an elite Fleet Service that keeps you in-touch with the technician working on your vehicle, so that repair decisions can be made quickly. We know that time is money and we’re here to get you back on the road so you can get back to business! Jack’s can help make your business more successful and your life a little less stressful. 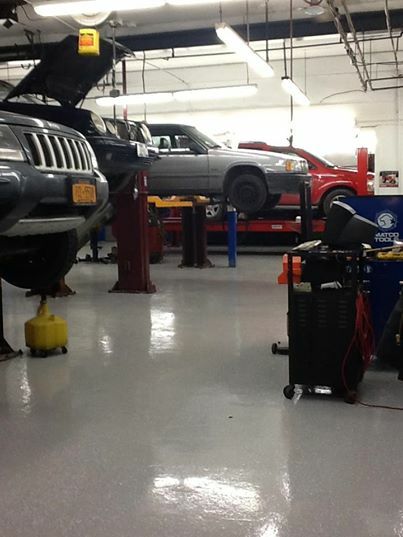 Vehicle maintenance and repair is a frustrating responsibility that uses up your valuable time. You make money by taking care of your business, not repairing your fleet. Jack’s can save you money by giving your fleet the utmost in priority, we realize that down time is expensive. At Jack’s Auto Service it’s not just about your car running its best, but also about making it easy for you to keep it that way. That’s why we work hard to make it easier on you. So give us a call and let’s schedule an appointment. Let us show you how rewarding the Jack’s Auto Service experience can be! For more information about our fleet services email Jack or call him at 845-373-9757.